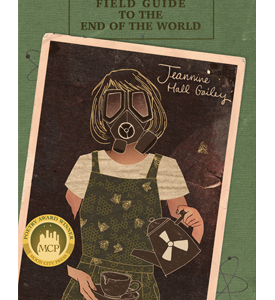 The Horror Writers Association (HWA) has announced the Preliminary Ballots for the 2016 Bram Stoker Awards, and Jeannine Hall Gailey’s Field Guide to the End of the World is recognized in the category honoring Superior Achievement in a Poetry Collection. The HWA, boasting over 1,300 members, has presented the Bram Stoker Awards since 1987. The full list of Preliminary Ballots and information regarding the voting process can be found here. Field Guide to the End of the World won the 2015 Moon City Poetry Award.